Anderson, Anniesland, Baillieston, Balornock, Barlanark, Barrachnie, Blochairn, Carmyle, Carntyne, Cowcaddens, Dennistoun, Drumchapel, Easterhouse, Firhill, Garrowhill, Hillhead, Hyndland, Jordanhill, Kelvindale, Kelvinside, Knightswood, Maryhill, Maryhill Park, Millerston, Milton, Mount Vernon, Parkhead, Partick, Robroyston, Royston, Ruchazie, Ruchill, Shettleston, Sighthill, Springburn, Springhill, Summerston, Swinton, Temple, Tollcross, Townhead, Whiteinch, Woodlands, Yoker, and Yorkhill. Arden, Auldhouse, Battlefield, Bellahouston, Cardonald, Carmunnock, Carnwadric, Castlemilk, Cathcart, Crookston, Crosshill, Darnley, Deaconsbank, Drumoyne, Dumbreck, Govan, Govanhill, Gorbals, Hillington, Hillpark, Hurlet, Ibrox, Kennishead, King's Park, Kinning Park, Merrylee, Mosspark, Mount Florida, Muirend, Newlands, Nitshill , Pollok, Pollokshaws, Pollokshields, Queen's Park, Shawlands, Strathbungo, Toryglen and Tradeston. 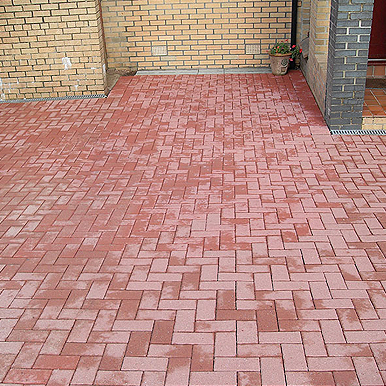 Hi, I'd like to thank Thistle Driveway Specialist for the amazing work you carried out on my driveway patio. I had many quotes but by far Steven was the best value for money. He did a great job on my driveway and patio and preparing the ground for turfing next year, as Steven talked me out of having it done this year as it is to late in the year to have it turfed. We will be defiantly be having Steven back next year to finish landscaping and turfing the rest of our back garden and would definitely recommend Steven to anyone. Jenny Drummond, Baillieston, Glasgow.